This entry was posted in Dove In the News, News on . 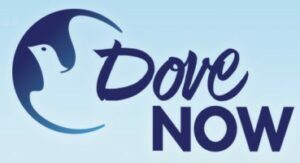 Cinedigm Nov. 1 began streaming Dove Now, a new pre-programmed streaming video service aimed at complementing Dove Channel, the $4.99 subscription-streaming service offering family-friendly movies and TV shows approved by The Dove Foundation. LOS ANGELES–(BUSINESS WIRE)– Cinedigm (NASDAQ: CIDM) announced today that the Company has closed an agreement to acquire 45 films and 10 series from Bridgestone Multimedia Group (BMG), a producer and distributor of family-friendly, faith-based films that inspire and spread the message of hope. Expanding the Dove Channel offering with inspiring and uplifting content, the BMG library includes a mix of series and films, including Max Lucado’s ‘Traveling Light,’ ‘Different Drummers,’ ‘Road to the Open’ (starring Eric Roberts, Judd Nelson, John Schneider), ‘Pitching Love and Catching Faith,’ ‘The Sugar Creek Gang’ (series), and ‘Character Builders’ (series). The one-hour long episodes feature “The Queen of Clean’s” trademark combination of fierce wit and southern charm in all three of the family-friendly episodes. Adding to the clean fun, some of her closest friends and all-star comedians will also take the stage. The lineup will include the talents of Bone Hampton, Brad Stine, PJ Walsh, Nazareth, Joby Saad, Michael Joiner, Taylor Mason, Anthony Griffith, Sandi Joy, Kay Dodd, Lisa Mills, Chinnitta Morris, Cleto Rodriguez, Michael Jr., and Rik Roberts. Amazon’s Prime members just got a new perk: Showtime and Starz, unbundled and cheap. The internet company launched a new initiative called “Streaming Partners Program Tuesday that allows Prime members to add subscription programming from close to 20 partners for an added fee to their Prime video service. It’s probably wrong to call Dove Channel, the new OTT platform launched in September by Cinedigm, a niche service. Because while the audience it targets with its faith and family-friendly programming doesn’t get much love from Hollywood studios outside of the realm of animation, it’s actually quite large. According to a report by the Pew Research Center released earlier this year, 25.4% of the U.S. population – 62.2 million Americans – are evangelical Christians. It’s safe to say that’s it’s a larger demographic group than those targeted by popular niche OTT services such as anime specialists Crunchyroll or Korean content-focused DramaFever. Those in search of wholesome family videos to stream have a new destination: Dove Channel. Scott Rolfe says an exchange his father had with Jack Valenti told him plenty about the Motion Picture Association of American ratings system then … and now. Valenti, then head of the MPAA, said his organization rates movies based on society’s changing values and mores. That won’t surprise today’s parents who often find PG:13 movies teeming with inappropriate content. It’s why The Dove Foundation lets parents and grandparents, not professional critics, write its reviews. Cinedigm Entertainment is touting a heavenly reception at retail for the home entertainment release of God’s Not Dead. Cinedigm president Bill Sondheim reported that first-week Blu-ray and DVD sellthrough of the faith-based title exceeded 50%, equating to about 300,000 units sold. The Pure Flix film, which was released on disc Aug. 5, earned $60.8 million at the U.S. box office on a budget of $2 million.